Acura Canada has high hopes for 2015. If all goes according to plan, the company will introduce an all-new passenger car, the TLX, and commercially launch its much-anticipated halo vehicle, the new NSX, by the end of next year. Product aside, the real story for the network and the brand will be having all 50 dealerships in the network complete the latest corporate image program. The facilities update aimed to better emulate brand image and product, said senior marketing and sales manager Ryan Kelly. So far the company has completed 21 store updates with another 10 currently under construction as of press time; the other 19 remain in the design or permit phase. The company plans to complete all 50 by the end of next year. The client centre will be the new “hub of the dealership” and will allow customers to drive their vehicles out of the elements and into an enclosed parking and service area, said Kelly. Those functions include car park, vehicle delivery area, demonstration area and an area to retrieve and park vehicles for service. The automaker said ideally, every Canadian Acura dealer would have a client centre. For smaller dealerships that are tight on space, most will have four to five parking spaces while larger ones may have up to 15 spaces, about seven on each side, available for customers. Dealerships which don’t have room for a client centre – either due to lot size or building code restrictions – will have to make due with a more traditional drive-thru setup, said Kelly. Out of the 21 dealerships updated so far, 11 have received a “full” client centre. Guy De Seve, co-owner and operator of Acura de Laval and Acura Plus in Blainville, Que., has seen positive results since he finished renovations two years ago. 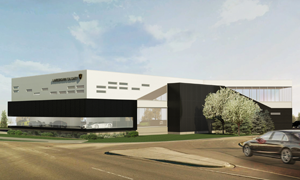 One of the first dealers in the country to complete the renovations, De Seve invested nearly $7 million (more than $3.5 million in Laval and $3 million in Blainville) in order to modernize and revitalize the dealerships. He also pointed out that Acura underwrote the equivalent of one-third of the renovations, based on a complex contribution calculated by numerous factors including units sold. The results of the investment have been marked, explained De Seve. 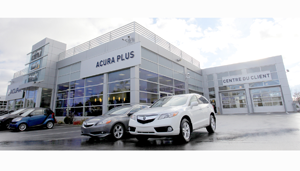 Those sales gains even helped to propel Acura Plus to the top of the sales charts as it made off with the crown for Acura new-car sales in the province in 2012, with Laval a close second. 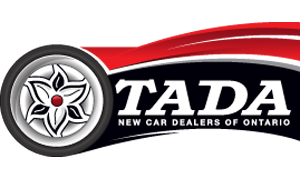 The sales success even continued the following year as the dealerships managed to trade their respective one-two spots in 2013. Thanks to newly renovated service areas, which include a new eight-car drive-thru in Laval, and Acura’s new concierge experience – a new regiment of service processes designed to put the customer first and improve retention – De Seve said service has also steadily a bump in customer traffic by five to 10 per cent over the past three years. Fully confident in his revitalized dealerships, De Seve was also convinced Acura’s new incoming TLX, set to arrive in August, would deliver. He said his Laval dealership should retail roughly 250 TLX’s in the first year. As for the reincarnation of the first Japanese supercar, the NSX, he said he hope it is exactly what the network has been waiting four years for. While De Seve could not confirm an arrival date, he summed up the vehicle’s mission by saying simply it would help upgrade the image of the brand. October 12, 2017 Jackson Hayes Comments Off on Are you an Employer of Choice?